Care Packages for Soldiers: Stryker Donates Items to the U.S. Troops Serving Overseas. Stryker Donates Items to the U.S. Troops Serving Overseas. 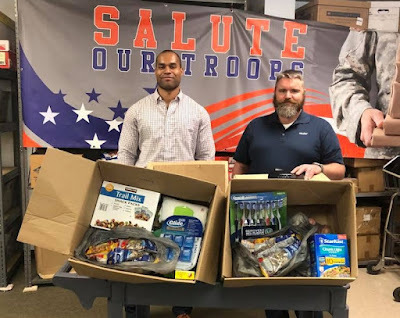 Thank you Stryker group for your collection of items for the Troops. These items will be added to the other items we'll send to our U.S. Soldiers, Sailors, Airmen, Marines and Guardsmen deployed overseas. Stryker donated item to the troops serving overseas.